Most days come and go, not so with this one. This one lingers somewhat longer than most. This one reminds us of the good we’ve done. Of this ‘one day’ we neither brag nor boast. There’s a sombreness about this ‘one day’. a new set of hopes, a new set of dreams.
. for they have earned the rest that peace extols. To the reader: Sombre and respectful, as they are, collective commemorations are reassuring; an inter-generational confirmation of commitment to each others’ national interests. Often sprinkled through the calendar that ‘one day’ is loaded with patriotic symbolism. That ‘one day’ bares the burden of testimony. We are reminded of heroic deeds of self-sacrifice and strength of character; drawn to action in the face of unimaginable fear. 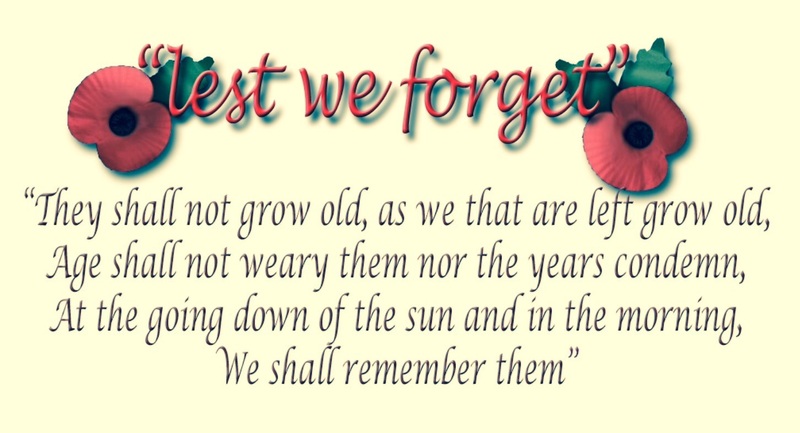 Those that died on our behalf … we will remember them; they died in war, they rest in peace. To the poet: The current of a flowing river is to some extent just a mathematical calculation. Given no reason to do otherwise, a river that follows its direction without resistance or impedance will behave predictably; without much character. This sonnet begins like that… four steady sentences to begin with. But then, the river of words begin to flow. The next eight lines blend to form a single ribbon of sense – punctuated to give it an uneasy rippling; an agitation that finds stoic resolution; at end, the reassurance of peace. This entry was posted in peace, People and tagged Events, Most days come and go, not so with this one., peace, People, Place, Poetry, sonnets, Time. Bookmark the permalink.